Protecting 4,120ha of tropical rainforest on Vanua Levu, Fiji. A pristine home for the endangered Fiji Ground Frog (Platymantis vitiana), and several other endemic plant and animal species. This rainforest also provides valuable protection from cyclones, floods and droughts for the Drawa local and those living downstream in their catchment. The Drawa landowners are in the process of having the area protected by a conservation lease, on land owned by 9 Fijian clans. This project will generate 22,764 carbon offsets annually, certified to the Plan Vivo carbon standard. Scroll down to the section entitled "Follow The Money" for more pricing information. This project is owned by the indigenous Fjiian landowners at Drawa, Vanua Levu, Fiji. The landowner population of 429 people spread over three villages is represented by the Drawa Block Forest Community Cooperative - the legal entity that owns the forests in question. These landowners have given up rights to logging timber in exchange for the opportunity to sell rainforest carbon offsets as a way of generating revenue for local economic development. This project also provides governance and management support and capacity building for community enterprise at Drawa. This is to help the Drawa landowners manage the rainforest conservation project and develop spin-off community businesses - the first of which is a community business producing and selling rainforest honey. The Drawa landowners have protected the 4,120 ha area through a conservation lease. This project project produces 18,800 carbon credits annually, and issued its first batch of credits in Q1 2018. The Drawa Rainforest Conservation Project underwent project development between 2012 and 2015 with funding from the European Union. This involved a lengthy process of landowner consultation and participation, methodology design and validation, and project design, development, implementation and monitoring. This project is undergoing the final stages of validation auditing for its first issuance carbon offsets. The project and its carbon offsets are certified to the Plan Vivo Standard - the world's leading community-based, fair-trade styled rainforest carbon standard. Scroll down to access technical documents. Audited by CPMA International (Sweden) using auditors experienced in the CDM and VCS Standards. Its carbon offsets were issued by Markit Environmental Registry in London (the world's leading environmental registry). Project development involves applying the methodology elements (on left) to the project site in the generation of a Project Description (PD). A PD is a detailed proposal quantifying the benefits to be produced by the project once implemented. The PD is split into two parts. Part A General Description involves the application of the Nakau Methodology Framework to the project site. This document (above) is the PD (Part A) for the Drawa Project. Part B of the PD involves the application of the Technical Specifications Module to the project site (see below). The Drawa PD Part A was validated to the Plan Vivo Standard in 2016. This document is the Project Description (Part B) for the Drawa Project. This involves the application of the Technical Specifications Module to the project site - quantifying the climate benefits to be delivered by the project once implemented. The Drawa PD (Part B) was validated to the Plan Vivo Standard in 2016. All Ekos projects are required to monitor (quantify) project benefits during project implementation according to a Project Monitoring Plan contained in the PD. Project Monitoring Reports contain assertions of the quantified ecosystem services benefits delivered by the project during the relevant (usually 3-yearly) monitoring period. This quantitative assertion is the basis for issuing PES units (e.g. carbon offsets) to the project. 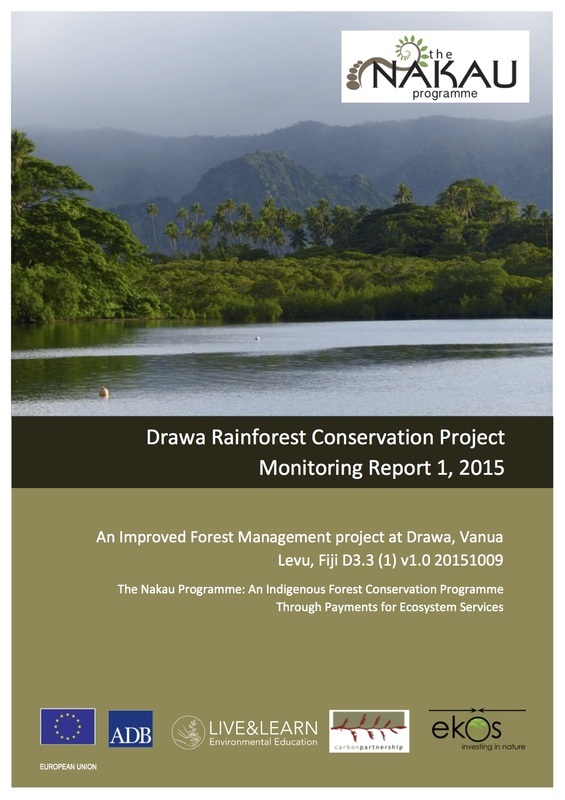 The 1st Drawa Project Monitoring Report (2012-2014 monitoring period) was verified to the Plan Vivo Standard in 2016. Before a project can be implemented, it first needs to be validated in an audit to ensure that it complies with the international standard applied (Plan Vivo in this case). The auditor produces a validation report asserting compliance to the standard including a paper trail for how corrective actions were addressed during the audit process. The Drawa PD (Parts A and B) were validated in 2016. We can provide pricing and project cost details for carbon offset resellers on request.